The area around Zeeweg, an uncultivated area of brushwood and heathland, was originally the property of St. Andrew’s Abbey in Bruges. After the French Revolution knight Louis van Outryve d’Ydewalle and his brother-in-law Jacques de l’Espée bought the abbey grounds and started cultivating them. Certain parts were forested with coppice and conifers while the more fertile land was converted into pasture or arable land. Straight avenues bordered by beeches still structure the entire area. In 1835 viscount Edouard de Nieuland of Ghent, son-in-law of Louis van Outryve d’Ydewalle, built the neoclassical country house Beisbroek. The double row of pollard willows in front of the castle and the Maidenhair Tree, or Ginkgo, were probably planted at the end of the 19th century as elements of the castle garden. 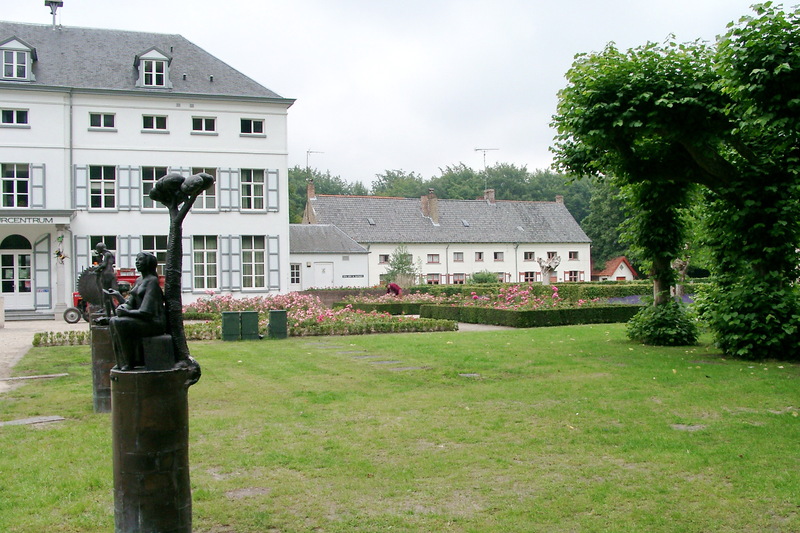 The castle and part of the domain were bought by the City of Bruges in 1973. The castle was converted into a nature education centre and also accommodates the Beisbroek Public Observatory. A planet promenade walk was laid out in the domain. The domain still shows the typical mix of wooded areas and open pastures. In 1973 some 2 hectares of fir wood were lost during a storm. After the wood was cleared, this area spontaneously developed into a patch of heathland with winter heath and heather. It illustrates the landscape that disappeared here in the early 19th century.